There are certain new ships with unique amenities, high technology design features as well as exciting itineraries that a lot of people will definitely find intriguing. Before you decide where next to spend your vacation, you should totally consider any of these new ships. Viking Orion is a luxury 930-passenger that has amazing staterooms which all come with verandas. The ship gets a spot on the list because it has a unique connection to exploration and space. Cruisers get to enjoy a series of lectures as well as stargazing sessions with the ship’s Resident Astronomer. Also, as you sail on this cruise ship, make sure to enjoy the Space Collection Explorations which is a form of tribute to Gemini and Apollo astronauts. The most recent ship owned by Royal Caribbean is Symphony of the Seas. It is the largest cruise ship in the world and it has over 2,800 rooms. It has innovative high technology entertainment that includes Flight: Dare to Dream which is a show that has a 3D flying tech. There is also Battle for Planet Z. Its Bionic Bar also has robotic bartenders. For those who want a splendid family vacation, they can choose to book the Ultimate Family Suite which is 1,346-square-foot. The suite is two level and it can accommodate 8 guests. It also features a LEGO wall from floor right to ceiling, private cinema, in-suite slide and also a personalized Royal Genie that can make all wishes come true. 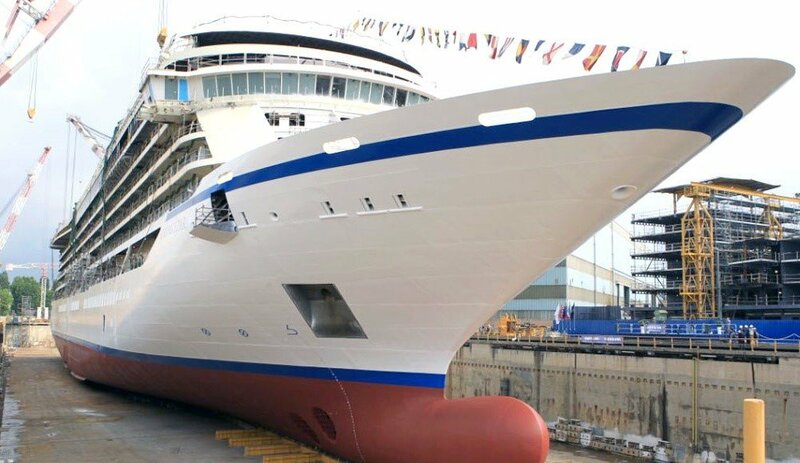 Avalon Saigon is the newest ship of Avalon Waterways. It cruises from Mekong River right to and fro Ho Chi Minh City in Vietnam and also Phnom Penh in Cambodia. It has 18 suites. This ship and Avalon Siem Reap are the only 2 ships that have the ability to sail the route. The Avalon Saigon is also one of the only 3 ships that can sail directly to Siem Reap in Cambodia. You get to also experience close views of everyday living in Mekong Delta directly from your individual suites as the suite has sliding glass doors. You can also enjoy this view if you are on the open-air deck of the ship. It also offers deep excursions in Cambodia and Vietnam. After several hours or after a very full day spent exploring, you get to enjoy the genuine regional cuisines and complimentary wines when you are on the cruise ship. The latest addition to the fleet of Celebrity Cruise is the Celebrity Edge. It is the very first in a collection of Edge Class cruise ships. The aim of Celebrity Edge is a redefinition of its contemporary luxury brand through an incorporation of technological elements all through. A part of the tech features is that the guests get to use a touch screen for controlling the temperature and in-room lighting. The cruisers also get to order services. There’s lots of fun with onboard experiences such as enjoying live performances at the cruise’ Theater. 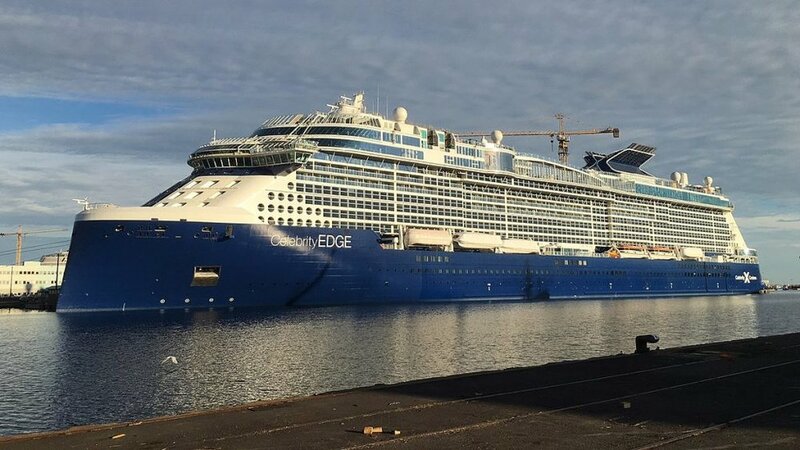 Celebrity Edge also has The Magic Carpet which is the very first cantilevered platform in the world. It has seating, performance space and a bar and allows people to enjoy cool ocean views. The latest addition to the Norwegian Cruise Line is Norwegian Bliss. The cruise ship can successfully accommodate adults and also kids. The Norwegian Bliss also accommodates 4,004 passengers and has sixteen cocktail lounges, wine bars, breweries and also nightly musicals, parties, and themed shows. In addition, it houses Mandara Spa as well as Observation Lounge which also provides panoramic views. There are also several activities that kids can enjoy. It is the newest vessel of Holland America. It can accommodate 2,666 passengers. The interior gets its inspiration from musical instruments’ curves and also serves as home to art collection of over 150 widely acclaimed artists. It also offers a lot of exciting experiences such as BBC Earth Experiences’ educational programming. Also, it houses Chateau Ste Michelle’s BLEND where you get to learn how to personally blend wine. Seabourn Ovation accommodates 600 passengers and is Seabourn’s latest addition to its fleet. It is committed to providing cruisers with extra luxurious cruising experiences whilst they are aboard the cruise ship. It has accommodations that feature chilled champagne which is made available all through the cruise, fresh fruit and also a fridge fully stocked with choice beverages. The ship has 5 dining venues and it offers unique experiences and tasty cuisine. That includes Caesar salad which is said to complement seafood and steak and also international dishes.